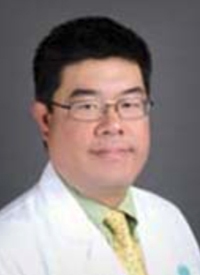 An emergence of new treatment options has revitalized the outlook for patients with metastatic pancreatic cancer and advanced hepatocellular carcinoma (HCC), but the next set of unanswered questions includes the role of immunotherapy and establishing second-line standards of care, respectively, said Jimmy J. Hwang, MD. In metastatic pancreatic cancer, patients can be treated upfront with either FOLFIRINOX or gemcitabine combined with nab-paclitaxel (Abraxane). Results of the phase III MPACT study showed that gemcitabine/nab-paclitaxel improved progression-free and overall survival (OS) compared with gemcitabine alone (HR, 0.69; 95% CI, 0.58-0.82; P <.001) in patients with metastatic pancreatic cancer with a Karnofsky performance score ≥70.1 Median OS was 8.5 months and 6.7 months, respectively, in the combination and single-agent gemcitabine arms. In the HCC paradigm, recent advances have given company to sorafenib (Nexavar), which was the lone FDA-approved agent for nearly a decade. For example, in the phase III REFLECT study, lenvatinib (Lenvima) was found to be noninferior to sorafenib in terms of OS in patients with previously untreated advanced HCC.2 Median OS in the lenvatinib arm was 13.6 months compared with 12.3 months for sorafenib. Based on these findings, the FDA approved lenvatinib as a frontline treatment in HCC. Researchers are hopeful that immunotherapy will make headway in HCC, Hwang says; however, recent data with pembrolizumab (Keytruda) suggest that it may be a challenge. In November 2018, the FDA approved the PD-1 inhibitor based on the phase II KEYNOTE-224 study, a decision that was contingent on positive phase III data from KEYNOTE-240. In February 2019, the FDA announced that while pembrolizumab showed a slight improvement in OS, it was not statistically significant. In an interview at the 2019 OncLive® State of the Science Summit™ on Gastrointestinal Malignancies, Hwang shed light on updates in both metastatic pancreatic cancer and advanced HCC that have created new complexities for researchers. OncLive: How would you define the metastatic pancreatic cancer space? Hwang: With regards to FOLFIRINOX and gemcitabine/nab-paclitaxel [in the frontline setting], how do we make the decision of who gets what? Are there ways we can do better? [Second-line therapy] was something that was inconceivable a decade ago, but it's pretty clear based on recent data that there is benefit [to using it]. Therefore, similarly to frontline therapy, what should we be doing? How do you choose between the 2 frontline options? You can make choices based on efficacy—at least what we perceive to be differences in efficacy. You can make decisions based on logistics and on your patient's functional status and comorbidities. The same is true in the second-line setting. Because there are several different potential options to select for, you can have those discussions with patients about what they value. What kinds of risks are they willing to take, based on the benefits each treatment may potentially bring to the table? What therapies are being explored in clinical trials that could take these options to the next level? As with [other solid tumors], the 2 main areas of exploration end up being immunotherapy and targeted therapy. Targeted therapy, over the course of the last few years, hasn't panned out as well as we hoped. We are always looking for new targets. Obviously, we hope for that immunotherapy breakthrough, but we haven't quite figured out what that target is. Immunotherapy has shown enough—there are some patients where it works, and the question ends up being, “How can we do better? Is it a combination with chemotherapy? Is it a particular patient population? Is it a combination approach with targeted therapies?” We will see how that plays out over the course of time.